In today’s world there are app´s for everything, but they lack the integration with the tried and tested infrastructure that already exists and hence results in a frustrating and disappointing user experience. Muxi provides such a platform that not only takes care of the payments with state of the art security, by not only leveraging the legacy infrastructure as we it, but also allowing the integration with the future technologies and trends that consumers crave for and that retailers have to accommodate for. The platforms imbedded geo-localization feature allows the tailoring of the buying experience that can be unique for each shopper. 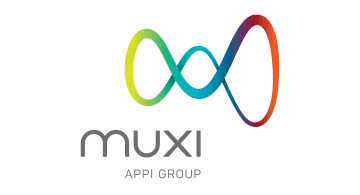 Muxi looks beyond the initial perceived challenges to make the technology more readily available to their customers, in addition, our company is the only provider of a patented hardware agnostic front end transactional platform (POSWEB®) that attends to the major international security standards, by providing unique and intelligent solutions to different industry segments, such as Acquires, Healthcare Management, Distribution, Loyalty, Prepaid, etc. The patented technology together with the POSWEB® suit of back end products and services such as Data Switching, Processing, Authorization, Settlement and Point of Sales Remote Management System is being used by internationally renowned companies that require real time management of their business. The company boast a worldwide installed base of over 3 million points of sales that leverages the exact same business application, be it Credit/Debit or Valued added developed for a stand-alone terminal to run on a PC, Integrated POS, android / iOS phone or Tablet, transacting and using the same protocols and security with the legacy host that requires no changes to its infrastructure to support new hardware’s at the point of sale.